We often need to teach our students the appropriate response depending on the size of a problem. They need to see how important it is to keep the problem and the reaction the same. 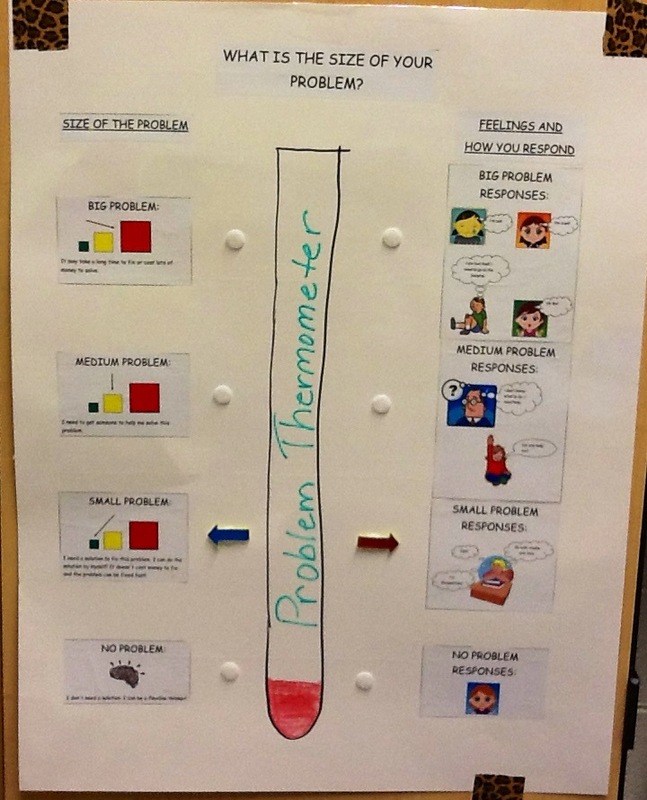 This great visual of a “Problem Thermometer” helps our students with ASD, ADHD, and Sensory Processing issues to monitor their responses to problems that pop up everyday. 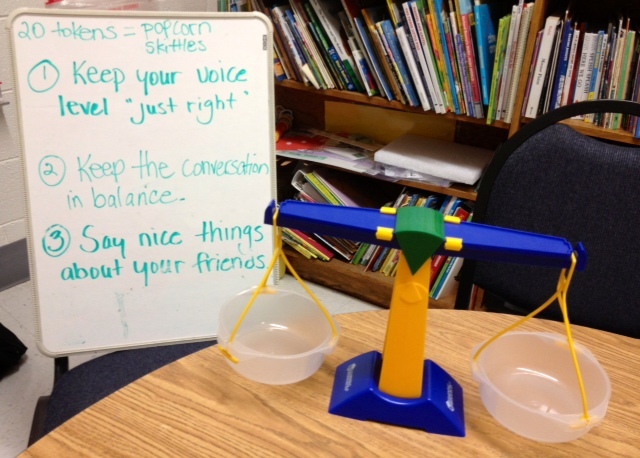 A simple balance (this one ordered from Learning Resources) is a great way to help our students with ASD to learn about the “back and forth” of conversation. When one person is doing all the talking the conversation is out of balance. 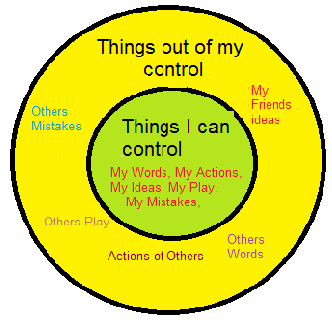 This idea is available at autismteachingstrategies.com. Joel Shaul has an instructional video on YouTube. I used it today and one out of the four students caught on right away. I think maybe two more demos and the whole group will have the concept of reciprocity. Draw a shape using different colors for each side or each part. Assign a color to each student. 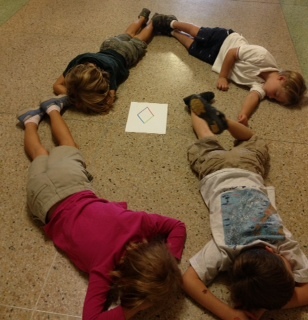 The students work together to replicate the shape with their bodies. Some students try to be the director and tell the others what to do!! Team work is the goal here. That Jenna Rayburn over at SpeechRoomNews.com is one smart cookie! 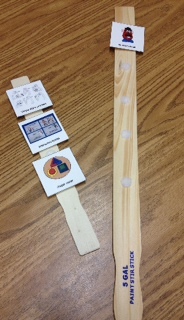 I am using her idea of using paint stirs for individual schedules. I like to provide my students with ASD a schedule of what will be done in the therapy session and sometimes they need the activity broken down into small steps. These paint stirs are PERFECT for that. 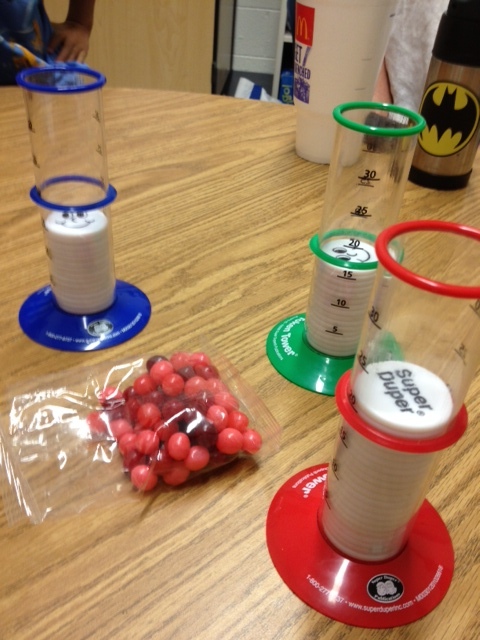 Token Towers are our favorite visual reinforcer. 20 tokens earns special treats! These are available at Super Duper.